This video gives you a good overview of the experience at Savannah Lakes Village. Whether you play Tara or Monticello, 18 or 9 holes, we believe SLV courses provide one of the premier golf experiences available in the Southeast. And considering we are about an hour away from the golf mecca of Augusta, Georgia, that's no small claim. Play our beautiful lakefront courses. You will be immersed in the game — and in the outdoors. Savannah Lakes Village's two 18-hole award-wining championship golf courses, carved from the rolling landscape wrapping Lake Thurmond, offer unique challenges and breathtaking vistas of the lake and Piedmont forest. And, best of all, membership into these first-rate lakefront clubs are included with your property ownership. With five sets of tees at Monticello and six sets of tees at Tara, the course can be set-up to play from 4,500 yards to over 7,000 yards. We also offer excellent practice facilities available to include spacious driving ranges, putting greens, practice bunkers, and pitching greens. 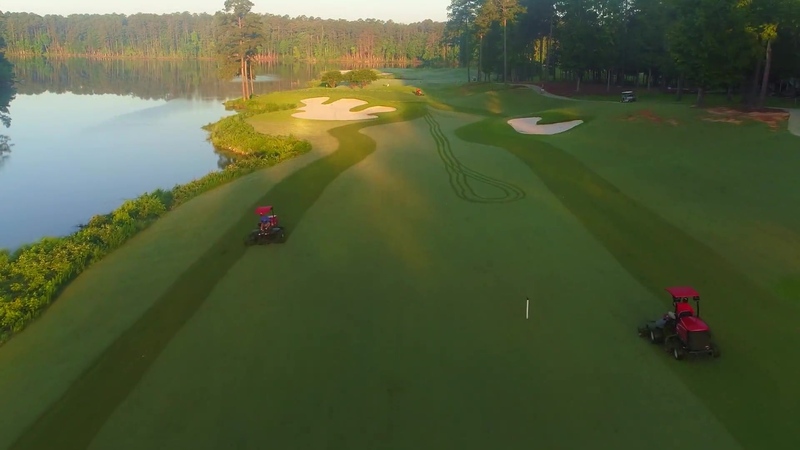 The area also offers a third 18-hole golf course at the Hickory Knob State Resort Park, giving Savannah Lakes Village residents access to three lakefront golf courses within a five mile radius of home! Interested in calculating your handicap before you arrive? Want to plan your tees and yardages? Here is where you can get the detail of each course. We have the entire scorecard for Tara, Monticello, and the panel showing the rating and slope for both. Click/tap the thumbnails below to see the full size images. 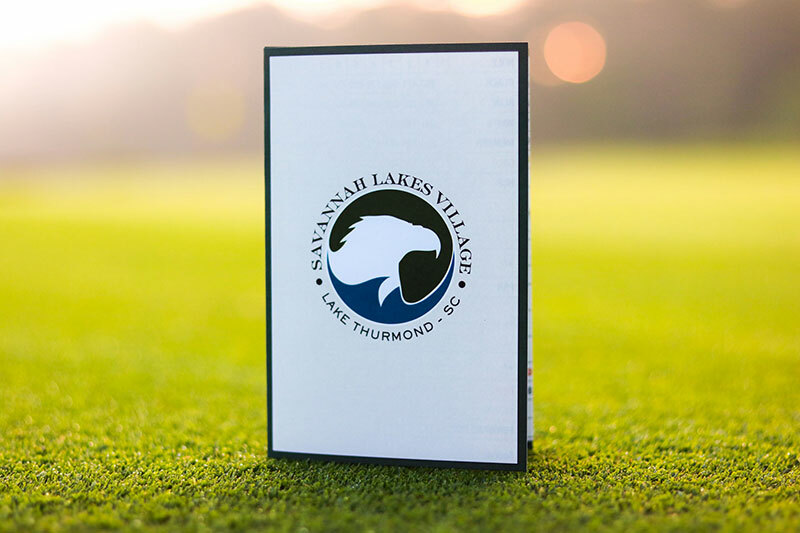 Savannah Lakes Village offers an extensive tournament and event program, including everything from non-handicapped events such as the Thursday evening "Fore Fun" group to fun and exciting championship style tournaments (watch our blog for information on upcoming tournaments). Instructional programs are available throughout the year by PGA members.